Kanagaroo? Do you? For those of you outside of Australia, you might not realise that whilst kangaroos are one of our nation’s animals, a tourist drawcard and on our National Coat of Arms, they are also a massive pest to many farmers and actually quite tasty! 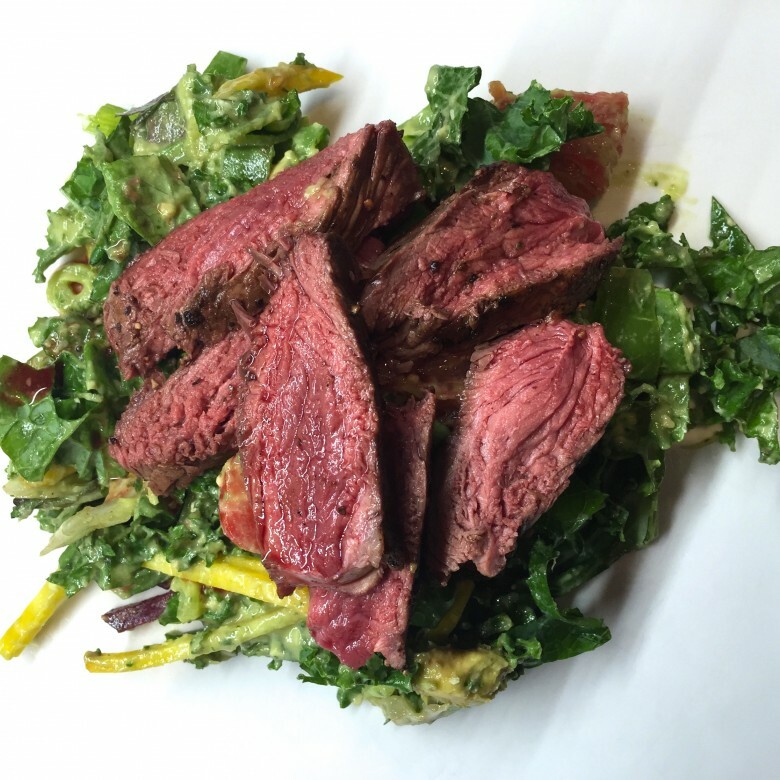 Kangaroo meat is very lean, high in protein and is more common in the fitness industry than the average kitchen table! It is readily available in our major supermarkets usually as fillets or mince (on a side note I’ve occasionally done 50% roo mince, 50% beef mince in the kids bolognaise and they’re none the wiser) so there’s no reason not to give it a go! I decided to keep it simple with these fillets and just season with salt & pepper. My husband cooked them on the BBQ to perfection (medium rare) and so it was very tender, juicy and delicious. If you haven’t given it a try, it’s worth it, it doesn’t have a super strong gamey flavour. If you’re an overseas follower and you ever make it Down Under, make sure you not only see one in a zoo or on a farm but on your plate too! Brush the fillets with oil, season with salt & pepper. Grill at high temperature – we used a BBQ until cooked to your liking but don’t over cook. 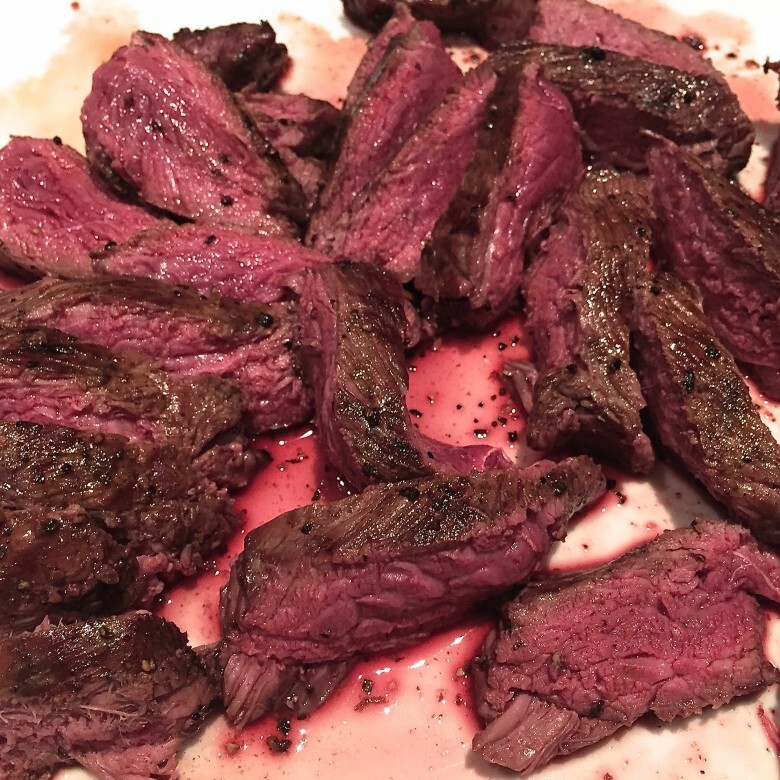 Kangaroo is best eaten rare or medium-rare. Rest for a few minutes then slice. 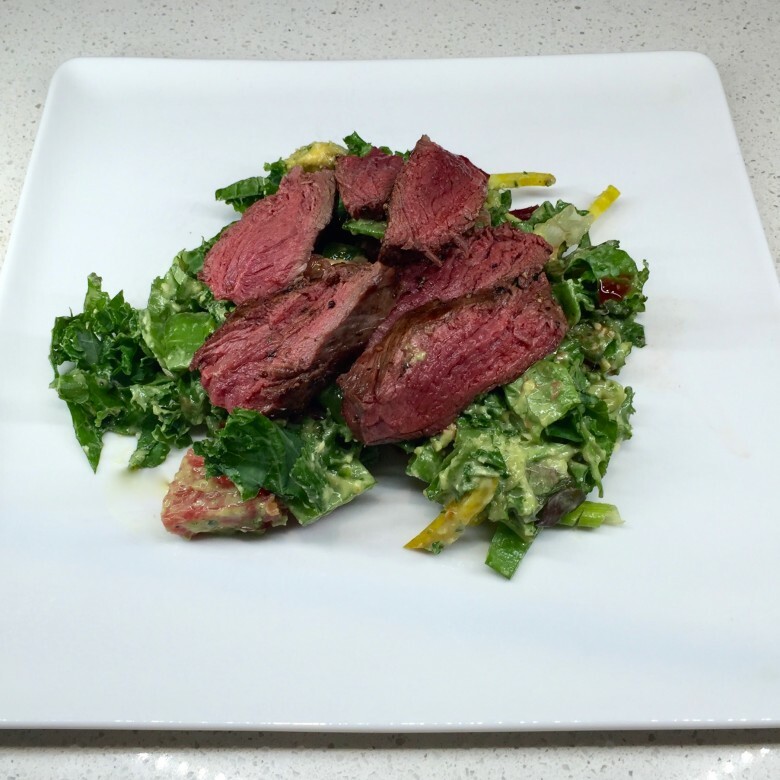 Toss salad ingredients together – really you can use whatever you have in the fridge that you’d like to. When ready to serve toss the dressing through the salad. Blitz all ingredients together in Thermomix or food processor. Add water depending on how thick you want it. I find I usually add about 1/2 cup of water. Pile the salad on the plate (already dressed) then place the sliced roo on top. Voila!